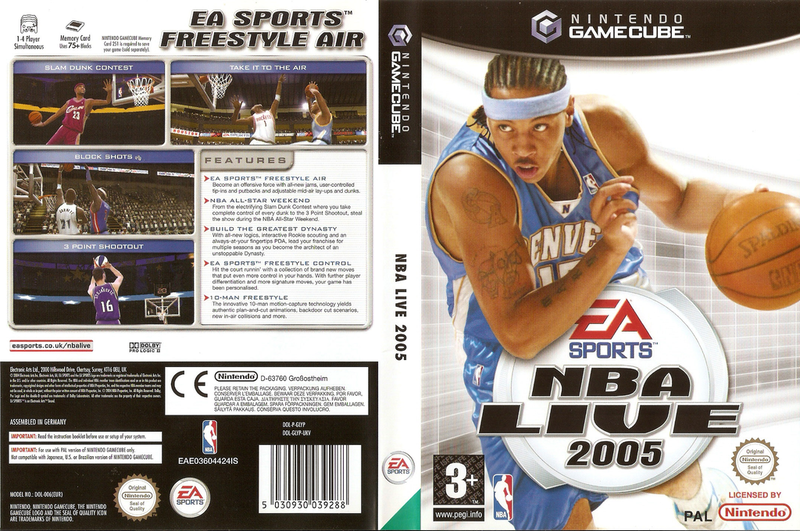 synopsis (EN) The Freestyle Revolution is back with NBA LIVE 2005. Elevate your game on both ends of the court with EA SPORTS Freestyle Control, which continues to be the benchmark for innovative control in a sports videogame. Create new ankle-breaking dribble moves, gravity-defying highlight-reel dunks, and tenacious defensive plays that express your individual style-all with a touch of the right-analog stick. All-new 10-man Freestyle implementation enhances individual player movements and floor spacing, putting you right in the middle of the action for the most realistic simulation ever created. Enhanced player graphics vividly reproduce each NBA player with the most realistic faces, hairstyles, jerseys, and shoes ever produced. A comprehensive offering of incredibly deep game modes, like the Dynasty Mode, put you in the middle of the action like never before. Levitate and create with NBA LIVE 2005.